...why don't moths simply come out in the daytime instead? Butterflies are perfectly happy to fly during the daytime, aren't they? So not moths? Moths seem to be so dotty about flying into lights that I can't understand why moths haven't figured out that flying during the day would give them all the light any moth could ask for to fly into. Does anybody know why moths have stubbornly decided to be nocturnal? Does anybody know what that reason is? It's a navigation thing. They use the moon for navigation and, of course, are used to it moving in relation to them differently than a very small, very near, light source. Good point Heels. Very good point but but but...Moths could just as easily steer by the Sun if only they had the nous to come out during daylight hours more often. So I am still wondering just what is it about broad daylight that moths are so allergic to? Could it simply be that there aren't so many moth-eating predators around during the night? If so, then that begs the question...If predators abound during daylight hours then why do butterflies feel brave enough to flounce around in full sun? Surely, what is good for a butterfly would also be good for a moth? And anyway, bats eat moths don't they, and bats abound during the night-time hours...so that probably knocks holes in my predator theory. Are there any nocturnal butterflies flying around? Do they fly into light bulbs at night? Come to that, are there any diurnal moths? If there are, then I really don't know what to think about my original question... 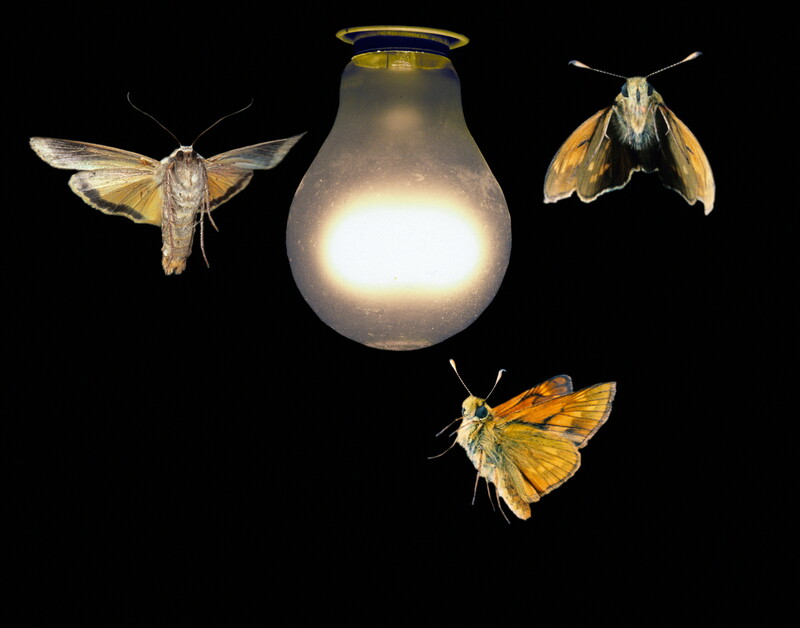 If moths like flying into lights so much, why don't moths simply come out in the daytime instead?